School usually begins in early September each year. 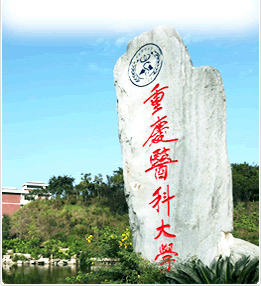 Students will study in Chinese students’ classes. The applicants for Chinese-medium programs need to have passed the Chinese HSK test with Grade 4 of Elementary Level, or have a statement from their embassy which proves that their secondary education was conducted in Chinese. School usually begins in mid-September each year. In principle, applicants for master’s and Ph. D. program should be over the age of 18 and under the age of 45 and 50 respectively. Applicant for master’s program should have got bachelor’s degree upon registration with CQMU and applicants for Ph.D. program should have got master’s degree upon registration with CQMU. Applicant should have the recommendation of two professors /associate professors. Applicants for English-medium program whose secondary education was NOT conducted in English need to provide an English level certificate or take an English exam organized by CQMU; applicants for Chinese-medium programs need to have passed the Chinese HSK test with Grade 4 of Elementary Level, or have a statement from their embassy which proves that their secondary education was conducted in Chinese. As for the specialties, please refer to 2. Master’s & Ph.D. Program above. Applicants should be registered practitioners who have working experiences.